Updated 11/18/12 - Things have changed quite a bit with the new crop of Windows Phone 8 devices like the HTC 8X and the Nokia Lumia 920. The physical design of the phone hardware plays a critical role in connecting the visual experience of the OS with the actual physical interaction with the phone. The design aesthetics of the OS should match that of the containing hardware. This is the primary method to extend the "feel" of the OS and provide a complete unified experience that connects the physical world with the virtual in daily use. It's this unified feel that subconsciously completes the experience for you. This is one of the primary reason I feel phones from Android lack a sense of completeness. As a designer speaking about aspects of design, I’m really excited about the new visual direction of Windows Phone. It’s brave departure from the old and successfully takes influences from outside the medium (Swiss design, typography, etc.) and not phones taking inspiration from other phones. Apple did this with the original iPhone and now Microsoft is doing it with Windows Phone. Whether it’s successful in terms of daily usability and interaction design is yet to be determined. With that said its goal of building a product that differentiates itself from its competitors through visual design succeeds on all counts. But the experience doesn’t end there. The language needs to be expressed in the physical and virtual world and no one does this better then Apple. The hardware “feels” like the software. Subtle design elements are carried across both worlds. And this is what really what makes Apple products feel “complete”. It’s the very reason Apple owns both the hardware and the software. It ensures they can extend the subtleties and nuisances of its language to the entire product end-to-end. 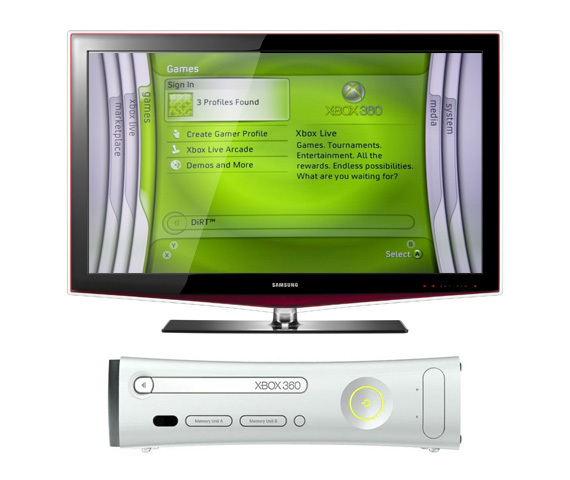 Microsoft has successfully done the same with the XBOX 360. The OS feels like the hardware. From the use of colors to subtle elements such as the “inhaling curve”, it feels connected. You can see this connected experience between physical and virtual displayed even in us. Some people “seem” to be a better fit with short hair or long hair, dark hair or light hair. Professional, sporty, active, geek, physical appearance amplifies and reflects personality. It is part of the very way we design ourselves. Looking at the current potential Windows 7 Phone hardware from various manufactures such as Samsung, the OS feels so strikingly out of place that it feels almost broken. Something doesn’t fit and you just can’t pin-point what it is. It just doesn’t feel right. The visual language that makes up Windows Phone is flat, geometric and modern and completely contradicts many of the current potential hardware designs. It’s like they are from a different planet, speaking a completely different language. It’s a jarring experience and details matter. Users notice. All aspects of what makes the Windows Phone design language “Metro” - flat, simple, chrome-less and geometric are all lacking from the preview headsets I’ve seen crop up on sites like Gizmodo and Engadget. Ironically, the iPhone hardware design fits in quite well with Windows Phone OS. Dare I say better than Apple? The current iOS design language was better a fit with the original 3G and 3GS. The curve gradients on the iPhone icons are mirrored in the curve back of the phone. If you flip an iPhone icon around and scaled it vertically, it’s essentially the same contour as the back of a 3GS. The iPhone 4 with its flat back, all black, industrial shape and hard edges works surprising well with Windows Phone - better than what Microsoft Partners have been able to come up with. The cause and effect is that the Phone is designed independent of the OS. Phones targeted at running different operating systems and it shows. What I hope happens is the Windows Phone team works at extending the Metro design language beyond software and into the hardware and ensures 3rd party manufactures support it. Ensure phones are designed around the Windows OS look and feel and is not just another phone running the phone OS. Provide industrial design guidelines, work with each manufacture’s design team and ensure they are met. Does the phone look and feel like a Windows Phone? The Metro design team should be interacting with each and every partner phone design team. Alternatively Microsoft just needs to cut the third party partners and make the phone themselves because as of today, it is not working. Microsoft and HTC, you guys need to talk.